The way Instagram handles notifications for multiple accounts is a little different which indicates that the notifications “depends on when you last logged in and the number of devices that switched in to an account”. From our understanding, this could indicate that users would not receive all push notifications for all of your accounts, which may help converse battery life on a user’s device. 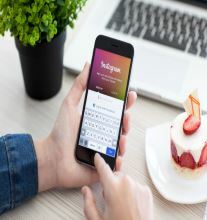 With the addition of multiple login accounts, third-party Instagram applications may have a harder time competing this attractive features and the risk of user data harvesting may be decreased.Find more information on multiple accounts usage in Instagram’s official Help Center. It appears, this feature is still rolling out to users and that Instagram may have to enable on their end before the ‘Add Account’ option is seen. Instagram is available for free from the App Stores and is compatible with iPhones running iOS 7.0 or higher.